Great Battles of History is Back!! 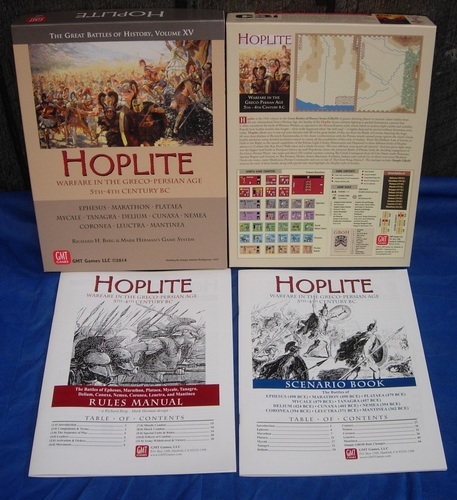 Hoplite, the 15th volume in the Great Battles of History series of games, allows players to recreate classic battles from the pre-Alexandrian Persian-Hellenistic Age, the heyday of the Hoplite (heavy infantry fighting in packed formation). This period is often considered to feature the birth of Western Warfare, as opposed to the Persian/Eastern style, which relied on archery , light cavalry, and mobility. … to the classic confrontations with the Persian missile-armed troops against the classic Greek hoplite phalanxes. 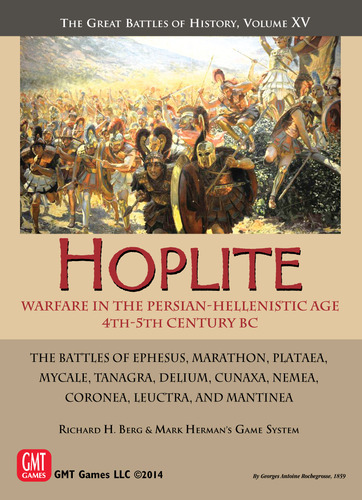 Hoplite uses detailed mechanics meant to convey all the possibilities of this style of warfare, from The Hellenic Law of Inertia, to Drift to the Right, to the special capabilities of the Persian Light Cavalry (Harassment and Dispersal) to three different levels of Hoplite advance to Combat (the Run Don’t Walk rules) and a whole lot more. We even still have some good old chariots! 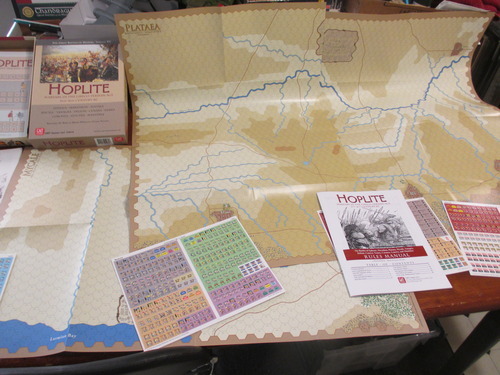 And you get to fight what was the biggest land battle in European history up until Napoleonic times, the immense Battle of Plataea (truly the deciding engagement of the Greco-Persian Wars): two maps and about 250 combat counters covering The Greek Contingents from 26 City-States under Pausanias, Spartan Regent and General, vs. The Persians, Medes, Asians (Bactrians, Scythians, Indians and a whole lot of others) and seven Medized Greek city-states, under Mardonius, Persian Commander and son-in-law of The Great King, Darius I. 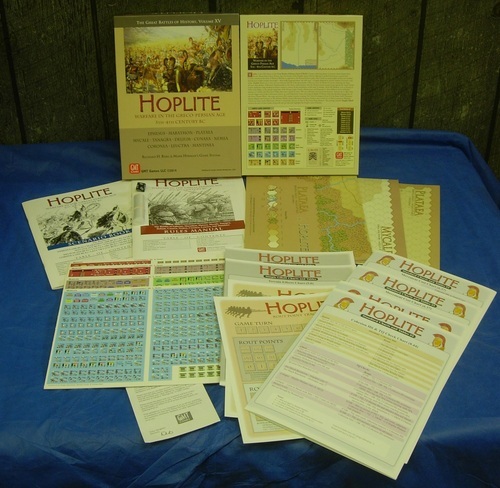 The package includes Simple GBoH versions for each of the battles along with special rules that highlight the hoplite style of warfare.